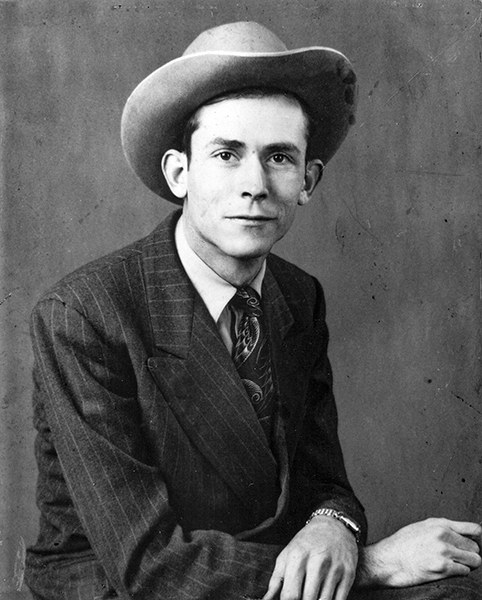 Home » Hank Williams Sr.
Hiram "Hank" King Williams (1923-53) lived 29 years and recorded music for only six, but he left an indelible mark on country music, helping push it to national acceptance. His stormy personal life and struggles with alcohol and drugs fueled the heartache and despair that endeared listeners to his music. Before his death in 1952 Williams had 36 singles on the country western Top 10. He was the first artist inducted into the Country Music Hall of Fame in 1961.